Welcome to Pokémon Vortex's Wiki. 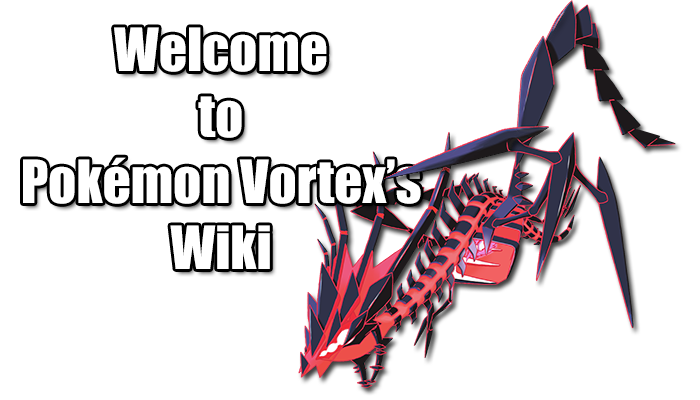 Our aim here is to compile every piece of information about Pokémon Vortex, old or new, into this Wiki. Everyone is free to contribute, even people not registered. With the wiki being a new addition to Pokémon Vortex, we're hoping to get some active and good editors here to help out. Please do not edit pages if you are unsure what you are doing. Refer to our about section before creating articles or editing current content. We will be monitoring recent changes to make sure guidelines are being followed to create a nice information base for Pokémon Vortex. If you're wondering what kind of content you can start sharing here, one example is we're hoping to migrate the current forum guides into articles here on the Wiki for easier access. This page was last modified on 20 July 2017, at 10:36.